Greg Calbi has had quite a run as a mastering engineer—43 years, to be precise—and he's still going strong. He’s mastered over 8,000 albums during that time, many of them classics. In this installment in our series discussing the consequences of volume on music, sound and human ears, we look at tools for measuring loudness. In this installment, we'll discuss the consequences of volume on music, sound and human ears. In this new installment we'll continue discussing the consequences of volume on music, sound and human ears. This is the next installment in our article series dedicated to the race for volume, its consequences on music, sound and human ears. Here's the latest installment in our series of articles dedicated to the race for volume, and its consequences on music, sound and human ears. In this new installment we'll continue discussing the consequences of volume on music, sound and human ears, and we'll see how digital technology has enabled the reduction of dynamic range in recorded music. 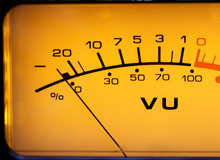 In this new installment in our race for volume, we'll see how changes in music listening have fueled the loudness war, and we'll look at radio's role in the escalation.